If you're looking into buying servers from Hewlett Packard Enterprise, don't let a new naming convention throw you off. 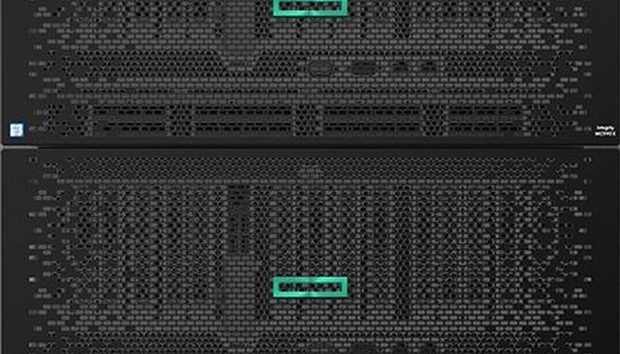 HPE's new Integrity MC990 X is the first in a line of many servers that will conform to a new naming convention to indicate the sort of workloads they tackle. The "MC" stands for "mission critical," and that moniker will make its way into more mid-range and high-end servers over time. The eight-socket server is a scale-up rack system crammed with lots of processors and memory to run databases, analytics and other business applications. It supports up to eight 18-core Xeon chips -- or 144 processor cores -- and 6TB of DDR4 memory. The Integrity MC990 X replaces the Proliant DL980. The DL designation, which stands for "density line," is hard to decipher and wasn't really a good fit for this server, said Jeff Kyle, director of product management for HPE enterprise servers. The name changes are important as HPE tries to meet specific customer needs, classifying servers for tasks such as high-performance and cloud computing, Kyle said. All servers in the MC line will use Linux, which HPE is pushing into more systems to handle demanding workloads, Kyle said. The "X" in "MC990 X" stands for "Xeon." The amount of data being generated these days is growing exponentially, and systems like the MC990 X will be able to analyze structured and unstructured data much faster, Kyle said. That could help companies make better business decisions. The new Integrity server is designed for in-memory processing of databases and other applications. It has SGI's NUMAlink interconnect, which enables the efficient use of memory and CPU resources. Scale-up systems like the Integrity MC 990 X provide faster in-memory processing, as the CPU and DRAM are placed closer together. The server is different from scale-out systems, in which many smaller servers are networked together and able to share memory and other resources. Integrity servers are also known for fault-tolerance and the scalability required for transactional databases, said Patrick Moorhead, founder of Moor Insights and Strategy. Shipments of scale-up systems are typically not as large as servers with fewer sockets. But the servers are widely used in finance, banking and the airline industry, Moorhead said. The Integrity MC990 X doesn't have the memory capacity of HPE's top-line Superdome X, which supports up to 24TB of RAM. Kyle said HPE hopes to double or even quadruple the Superdome X memory capacity by next year. IBM and Lenovo are HPE's competitors in the 8-socket server market. IBM uses its proprietary Power chips in servers, while Lenovo uses Intel's Xeon chips in all servers. The 11U server Integrity MC 990 X can hold up to two 1.8-inch solid-state drives, and up to four additional 2.5-inch SAS hard drives or SSDs. The server supports Intel's Xeon E7 v3 chips and has multiple PCI-Express 3.0 slots. The server is priced starting at $70,000.